A certain expectation, and maybe stigma, comes with any Disney film. There are always positives, particularly with the early, animated films. The songs are great, the animation is always groundbreaking and the stories, even those that are retelling of familiar tales, are usually very good. This has fallen to the wayside recently and the more you go back and re-watch any old Disney film, some familiar trends begin to show themselves. Of course they have the princesses, which I’ll be forced to come back to later, but more often than not, there is a general theme to the movie and you can see where the story is going. Even original movies, like Lilo and Stitch or The Lion King, have a clear message or moral. The clearest is “be yourself,” and this is the go-to moral for most Disney movies, even those as recent as Wreck-it Ralph. 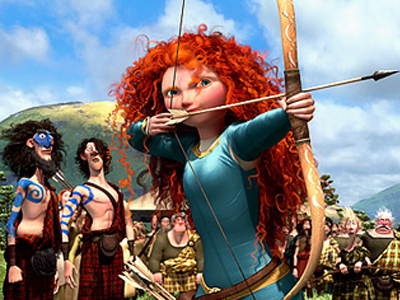 Brave feels like Pixar attempting a Disney film – Princess included. Pixar have successfully gone in a different direction. Their films are very original, never retelling old classics and because of this they have made groundbreaking, accessible and classic movies at an almost 100% success rate. They may have messages but they are never glaringly obvious or delivered with a predictable and transparent story. Which is why alarm bells rang slightly when Disney bought Pixar. I’m sure a lot of the movies that were released at the beginning of this acquisition were already in development and avoided too much Disney involvement but Brave seemed to have all the trademarks of a Disney movie. The first, most glaringly obvious addition, a princess. Disney have moved their princesses away from damsel’s in distress and Rapunzel from Tangled was fairly removed from Cinderella or Sleeping Beauty. Brave is the next step along. A strong, independent and battle ready “princess” which may or may not be included in the classic, girl’s brand range. She does have classic Disney written all over her though: betrothed to be married, rebelling against parents and making a grave, selfish error which she has to then live with and learn from. It’s a huge, glaring Disney message and moral in a Pixar suit. The movie has a very Pixar feel to it and is clever, well animated and has those perfect touches that Pixar does better than anyone else. It’s that Pixar suit that saves the movie though. In the hands of “classic Disney” this could have fallen alongside the usual, decent but forgettable Disney-fare. Well done, very polished but very similar to most everything else Disney. Pixar don’t settle for that though. They manage to bring an extra edge and magic to their movies which elevates them above the usual animated releases. They are mature, well-written and detailed movies, which have such a wide-grasp of audience, story and environment that you can’t help be sucked in. The characters are fantastic. 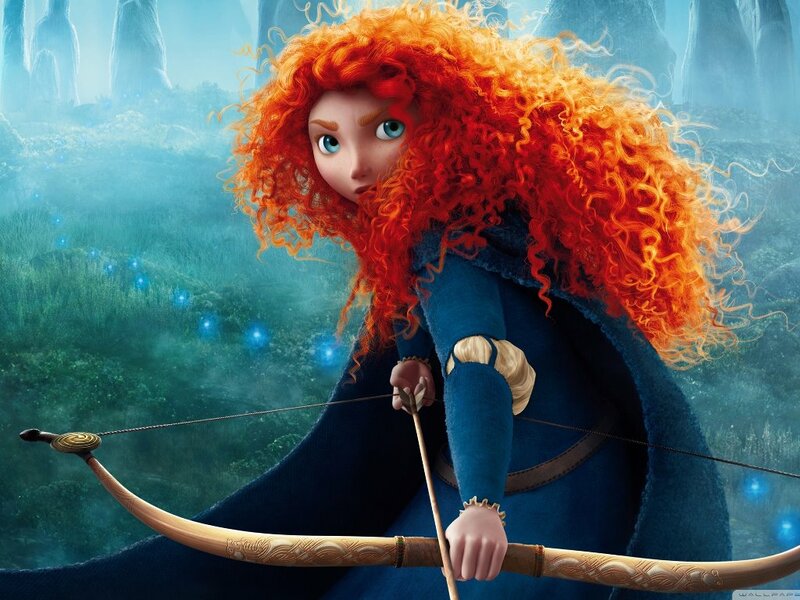 Brave is a heroine you can root for but she is clearly outclassed by her doting, barbarian father, his other clan equivalents and her little brothers. The aspect of the film where men are vying for her attention and hand in marriage is probably the highlight of the whole movie. There are so many jokes, both kid friendly and more adult focused, that you will be laughing along and entertained throughout. The supporting characters add to a very surprising story. The story isn’t “transparent” either. 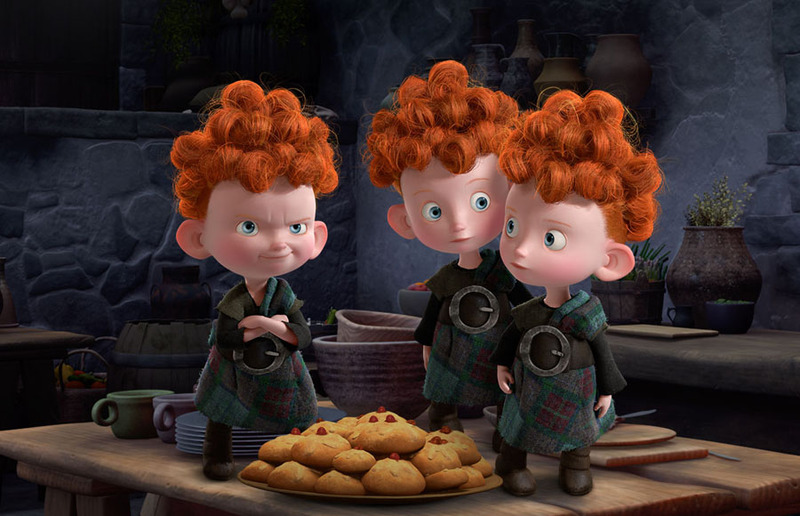 I went into Brave knowing little about the actual story and it surprised me with what it was actually about. The message is there and the moral becomes clear very early, but the way that message is delivered is much more intelligent than most films I’ve seen delivering the same thing. It does still feel slightly too “Disney” though. Or rather, it doesn’t feel Pixar enough. It doesn’t feel as original as Wall-E or Up and is half as clever because it’s telling a more traditional story. It’s a traditional story told very well but it feels far from a Pixar classic and subsequently also far from a Disney one too. 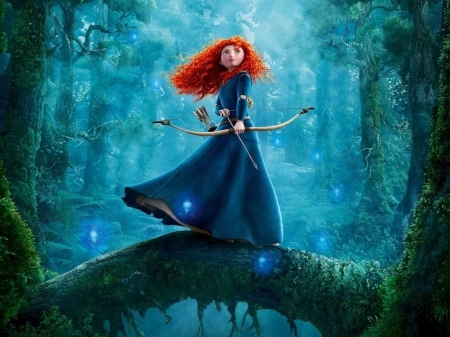 Overall, Brave feels like Pixar doing a Disney movie. Fortunately, Pixar show that they are very good at this. The characters are strong, the story is surprising and entertaining and the finishing touches show why Pixar is still ahead of everyone else. Unfortunately, it doesn’t feel like “classic” Pixar and lacks the innovative and original aspects that made their previous movies so unforgettable. It’s still a little bit too Disney and not quite Pixar enough.